What your CRO doesn’t know could hurt you! 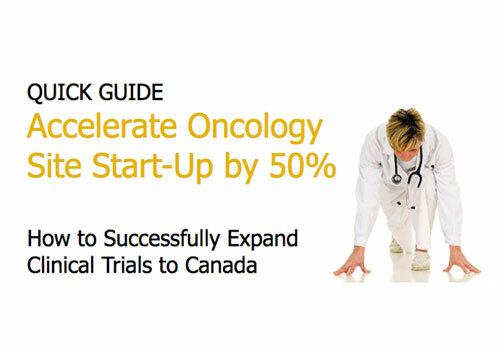 If you are responsible for getting oncology studies completed on time then our Guide to Accelerating Site Start-Up will give you valuable tips on leveraging Canada to get a leg up on your competition. If you’re a clinical operations executive responsible for getting oncology studies completed on time then our Guide to Accelerating Site Start-Up will help give you valuable tips on leveraging Canada.